Best Asian Restaurant in Town or Convert to Mexican or Italian! 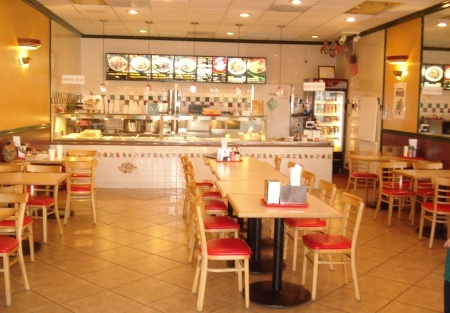 This Asian Restaurant is located in a recently remodeled busy strip mall in the Santa Clarita Valley off a main street. It can remain Asian or be converted to Mexican or Italian where food can be made to order. There is approx. 1,350 square feet seating approx 38 people. There is plenty of parking. The rent is currently $4,967.47 per month including NNN. The lease has 4.6 years remaining. Landlord will negotiate a new longer term lease. The restaurant is very clean and in great condition. Owner has worked full time since purchasing and has established great customer relationships. They have many repeat customers and excellent service including delivery. Owner is very tired and wants to retire from business. Take the next step and complete the online confidentiality agreement and you�ll be provided with the restaurant name and address. Also you will given priority notification to new listings in the future, prior to the general public, giving you the best chance to �scoop in� the best opportunities. There are also more photos available to our registered buyers. This is a a Paramount Restaurant Brokers, Inc. listing. Asian Restaurant located in a recently redeveloped and very busy strip mall. Restaurant is in excellent condition. Approx 1350 square feet and seats approx. 38 people. Rent is currently at $4900 per month. Owner established great customer relationships. Great service and quality of food. Plenty of parking and a lot of foot traffic in this location. Can convert to Mexican or Italian with Landlord Approval. Located is the very desirable Santa Clarita Valley area.